Halloween is here, and while consumers are predicted to spend slightly less this year on holiday celebrations than in 2012, the candy industry still anticipates big numbers. 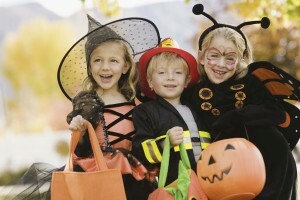 Halloween celebrants are expected to spend more than $2 billion on candy this year. About 600 billion pounds of candy will be moved off the shelves and into the hands of expectant trick or treaters, and almost 90 million pounds alone will be chocolate. Chocolate easily tops the list of most desired Halloween candies, with 72 percent of Americans naming it as their favorite holiday candy. For the candy industries biggest players, Hershey and Mars, this is one of the most important times of the year. Of the top 20 most popular candy products in the country, only two aren’t manufactured by Hershey or Mars. As if their dominance wasn’t already asserted, the market share of the big candy companies actually increases during Halloween. In 2009, private-label candy makers saw their market share fall two and a half percentage points during the Halloween season, which could be attributed to promotional pricing and holiday-themed packaging put out by the big players. This entry was posted on Thursday, October 31st, 2013 at 6:53 pm. Both comments and pings are currently closed.